April 15… Taxes were on everyone’s mind. Nobody likes the tax deadline except maybe CPAs. It’s an anxiety source for just about everyone. And with sweeping tax reform, many who live in Myrtle Beach and along the Grand Strand are worried about the filing deadline, what tax reform will mean for them, and whether the Palmetto State will continue to be one of the country’s leaders in generally low taxes and tax reduction. For most homeowners, their home will continue to be a major source of tax relief. Mortgage interest is still deductible – to a point. Thankfully, this key deduction is still in effect for the current tax year but at a lower threshold. Prior to tax reform, mortgage interest was fully deductible for loans of up to $1 million. But as a result of the new tax changes, that limit has been lowered to $750,000. For an average earner interested in buying an average home, mortgage interest should be deductible in full. For folks looking to buy pricier homes, or those who live in an expensive area of the country with inflated home prices, it’s important to be aware of the cap. And of course, this only applies to itemized returns. With tax reform, most homeowners have no need to worry about the mortgage interest deduction or any deduction for that matter. These days with the standard deduction effectively doubled, the majority of taxpayers don’t itemize deductions. Just as the new tax laws limit the mortgage interest deduction, they also limit the deduction for property taxes. Going forward, the deduction for state and local taxes tops out at $10,000. Prior to 2018, the deduction was unlimited. Like the mortgage interest deduction, for homeowners living in Myrtle Beach, it’s unlikely that the property tax limit will have much of an impact. In Myrtle Beach, a $10,000 tax bill translates to a property value of $2,650,000 so the deduction limitation affects only a small percentage of Grand Strand homeowners. Most home buyers plan to live in their home for quite a while and very few take the tax deductions associated with homeownership into major consideration when buying a home. However, many homebuyers looking to relocate to a different part of the country do consider taxes when deciding on a community to relocate. Buying a home can be a very wise financial decision with benefits that can last for many years to come. IRS Publication 530, titled “Tax Information for Homeowners“, outlines the available deductions that are available. Death and taxes are a common reference in many quotations. It’s most commonly attributed to Ben Franklin in a 1789 letter to Jean-Baptiste Leroy, “Our new Constitution is now established, and has an appearance that promises permanency; but in this world, nothing can be said to be certain, except death and taxes.” However, Franklin’s letter is not the origin of the phrase. The reference has appeared earlier in the works of Daniel Defoe’s (1726) and Christopher Bullock (1716). The fact is, most consider taxes a necessary evil and that feeling isn’t new. It’s been around for centuries. 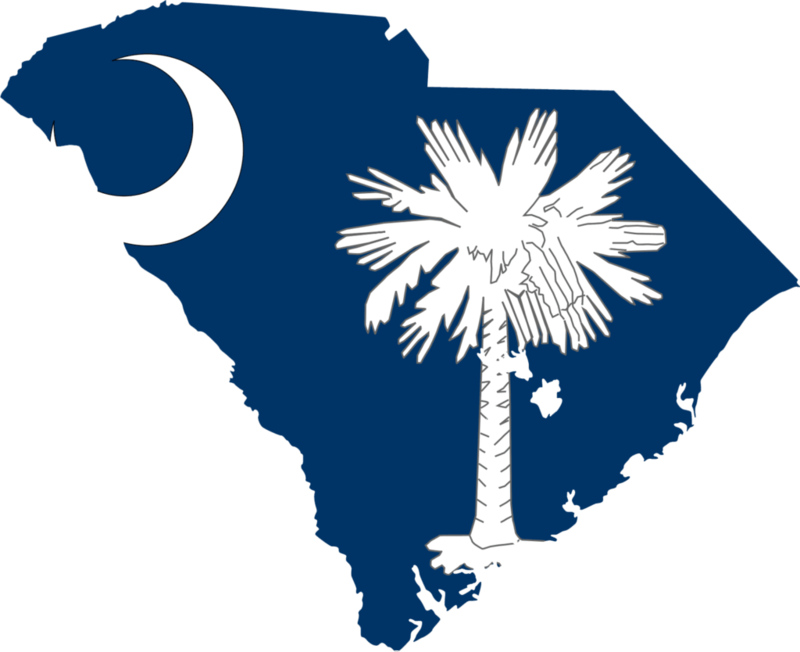 South Carolina became the 8th state of the United State of America in 1788, a year before Franklin’s quote and decades after Defoe’s and Bullock’s. A largely agricultural state with very large plantations, low property taxes have been important to South Carolinians from the very beginning. South Carolina has one of the lowest per capita tax rates in the country, according to the U.S. Bureau of the Census. South Carolina’s lawmakers, state political leaders, and local officials are committed to ensuring that the Palmetto State’s tax structure remains competitive and attractive to individuals, manufacturers and small business owners who may be considering South Carolina as their new home. South Carolina counties, cities, and school districts impose ad valorem (property) taxes on the real and personal property. The property taxes are assessed and collected by local governments. The previously mentioned $10,000 tax bill on the $2,650,000 Myrtle Beach property would total more than $65,000 in Trenton New Jersey or $52,000 in Albany New York. Kiplinger Magazine routinely ranks South Carolina one of the top states for retirees, largely because of its tax policies, particularly its low property tax rate. Personal property tax is collected annually on cars, trucks, motorcycles, recreational vehicles, boats and airplanes. Personal cars, light trucks, and motorcycles are assessed at 6 percent of market value. The annual property tax on a $10,000 car would total about $190.80 based on an average state millage rate. Another personal property is assessed at 10.5 percent. The registration fee for passenger cars is $24 every two years ($20 for residents age 65 or older; $22 for 64-year-olds) and is paid when the county property tax is paid. Many states, rather than collect personal property taxes on cars, boats, etc., impose a higher registration fee that is comparable to South Carolina’s property tax. South Carolina’s state sales tax rate is 6% for most purchases and a 7% lodging tax. Counties have the option to impose an additional local option sales tax for capital projects, the school district, tourism development or transportation projects. These local taxes are collected by the South Carolina Department of Revenue on behalf of the counties. Citizens 85 years old or older get a 1% exclusion from the state’s sales tax but must show an ID to get this break. Each class of property is assessed at a ratio unique to that type of property. Each county and municipality then applies its millage rate to the assessed value to determine the tax due. The millage rate is equivalent to the tax per $1,000 of assessed value. As the millage rate varies among taxing districts, homeowners need to contact the local county assessor for specific millage rates. The state provides for numerous property tax exemptions, including a homestead exemption of $50,000 from the property’s assessed valuation that is available to residents who are 65 years of age or older, totally disabled, or totally blind. This exemption is granted by the county auditor. Taxpayers are required to file an application with the county auditor. South Carolina imposes a casual excise tax of 5% on the fair market value of all motor vehicles, motorcycles, boats, motors, and airplanes transferred between individuals. There is no inheritance tax in South Carolina. Because South Carolina follows federal rules regarding the taxation of estates, the phase-out of the federal credit means that the state does not collect an estate tax. Recreational vehicles; Boats; Motorcycles and Airplanes. Full Exemptions are totally exempt from sales and use tax and include prescription drugs sold to individuals and insulin sold to diabetics. Dental prosthetics and hearing aids are also exempt from sales tax. Individuals who are 85 years of age and older are exempted from 1% of the state sales tax, paying a state sales tax of 5% instead of 6%. There is no tax assessed on the first $2,910 of taxable income. 3% on taxable income between $2,911 and $5,820. 4% on taxable income between $5,821 and $8,730. 5% on taxable income between $8,731 and $11,640. 6% on taxable income between $11,641 and $14,550. South Carolina’s income tax structure follows federal income tax laws, allowing many of the same adjustments, exemptions, and deductions with only a few modifications. In fact, the starting point for calculating state tax liability is the federal taxable income. For the current tax year, South Carolina does not tax the first $2,910 of federal taxable income. For amounts over $2,910, South Carolina’s graduated tax rate is 3-7 percent of taxable income. The individual income tax brackets are adjusted annually for inflation. To compare South Carolina’s tax rates with other states, look at each state’s total tax package, not just the tax rates. For example, some states may have a lower individual income tax rate but tax Social Security benefits. South Carolina does not tax Social Security benefits or railroad retirement income. South Carolina also allows special deductions for retirees and senior adults. Beginning the first year you receive qualified retirement income and until you reach age 65, you can take an annual deduction from your qualified retirement income of up to $3,000. You can claim this deduction for income received from any qualified retirement plan, including IRAs, government pension plans, Keogh plans and private sector pensions. At age 65, the deduction increases to a maximum of $15,000 on any source of income. Each spouse receiving income from a qualified retirement plan may claim the retirement deduction. South Carolina tax returns are due April 15 or the next business day if that date falls on a weekend or holiday. Tax laws are complex. There are dozens of credits and deductions available for specific and a wide range of personal and business circumstances. For specific questions, give a Trembley Group Real Estate Sales Executive a call. If they don’t have an answer for a specific question, they have a network of strategic business partners that include tax attorneys and CPAs and routinely refer their clients to tax professionals for specific advice.